COLD PRESSED METHOD is one of the best methods to extract essential oils. 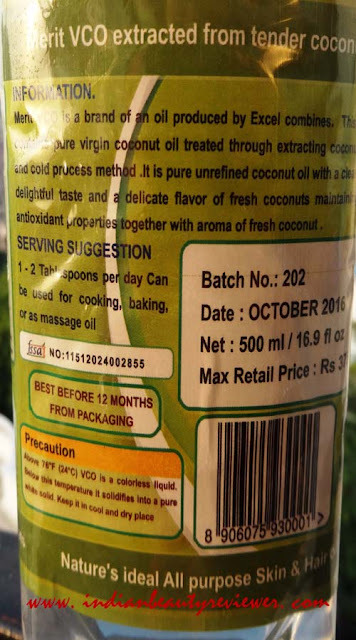 It may not be the most practical method of extraction of vegetable oils but it is held in high regard as it preserves the nutritional value of the oil. Cold pressing is a method of mechanical extraction where heat is reduced and minimized throughout the batching of the raw material. 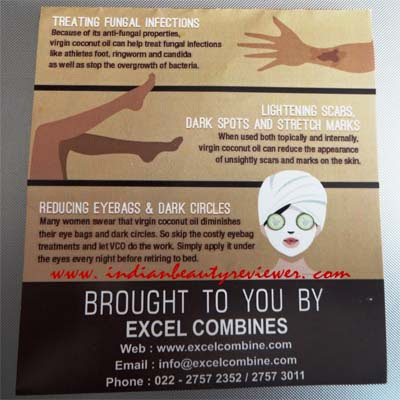 Cold pressed method is also known as SCARIFICATION METHOD. No external heat is required to let the process go, rather the high temperature to carry out the process is obtained internally. In the Cold Press method, the peel of the fruit is penetrated while rolling over a trough. This leads to piercing of the tiny pouches which contain the essential oil. Once the whole fruit is pressed to squeeze the juice and the essential oil from the pulp, the essential oil rises to the surface of the juice. Now comes the separation process which is done from the juice by the centrifugation method. The essential oil produced from this method have a very short life to expire. The term Cold Pressed is derived from the German words Kalt Geschlagen, which literally mean cold pummeled. Cold Pressed oils do not reach a temperture more than 50°C. No external heat is supplied to the oil. The heat is produced because of pressure & rotational friction. In Germany, oil was produced manually at home 100 years ago by the German women. The seeds were poured into a wedge-shaped container and a wooden edge was driven into it. The housewives usually hit the wedge with a wooden mallet and the oil would keep dripping for an hour. This process was continued for every single hour. The temperature ranges from 85°C and 95°C for dripping of the oil. Cold pressed method is mainly used for extracting essential oils from plants, their seeds and fruits. This method is used to obtain citrus fruit oils such as bergamot, grapefruit, lemon, lime, mandarin, orange and tangerine oils. 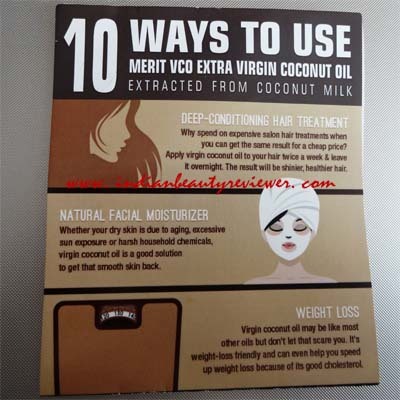 Merit VCO Extra Virgin Coconut Oil is a cold pressed oil which is extracted from Tender Coconuts. It has a delicate flavor of fresh coconuts. The oil is pure and unrefined with a clean delightful taste. Since Merit Extra VCO is a cold pressed oil, it maintains itsantioxidant properties together with the aroma of fresh coconuts.It can very well be used for Cooking, Baking and as a Massage Oil. 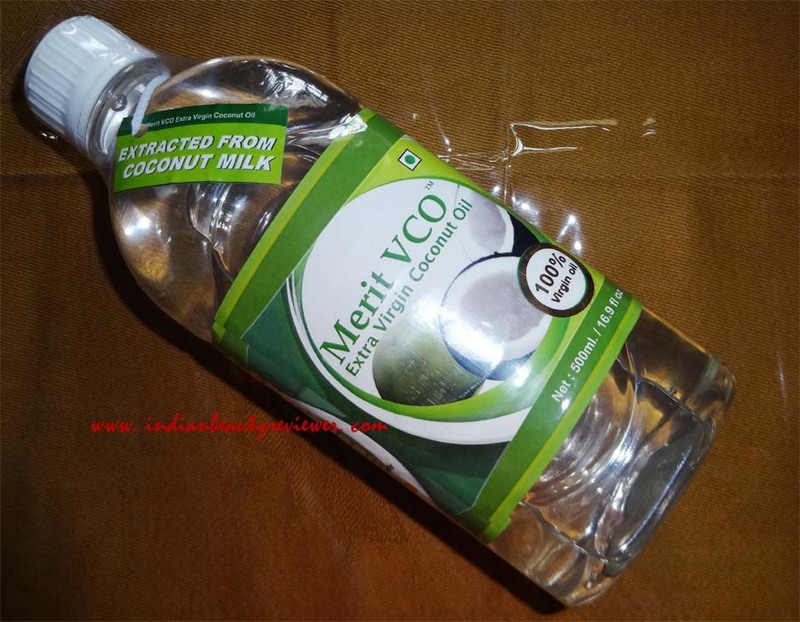 Merit Extra VCO is a colourless liquid. Below this temperature it solidifies into a pure white solid. Ideally it should be kept it in cool and dry place. The oil absorbs into the skin very swiftly and the feel is absolutely non-sticky. It doesn`t feel slippery at all like regular refined oil but its after feel is rather like a thick lotion. I love its lingering tender coconutty aroma and I use it for cooking and massaging my body as well I love to deep condition my hair with it once or twice a week.I highly recommend this oil to whoever has been a fan of coconut oils since childhood or whoever is looking for a natural and healthy alternative for their body. 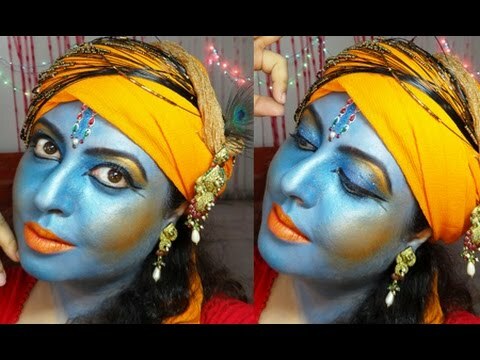 It nourishes your body from inside out and it just makes you look and feel hydrated, moisturized, shiny, energetic, glowy and simply gorgeous ! Natural oils always have some natural benefits. 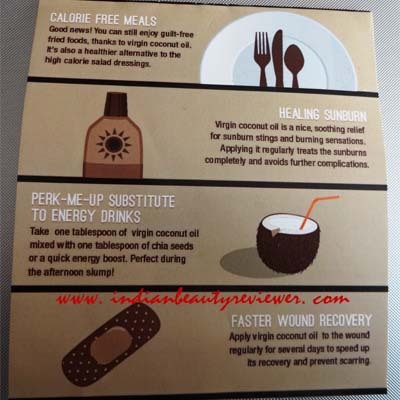 I learnt more things about natural oil from Marachekku Oil In Bangalore.